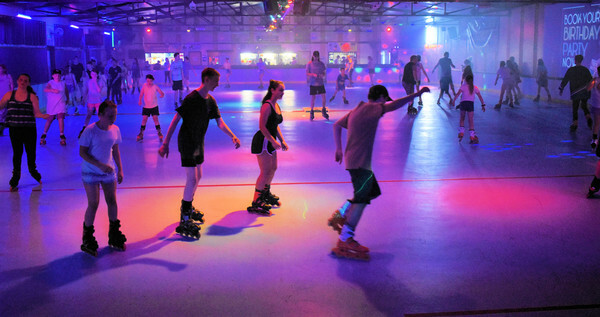 Rollerway Skate Centre is a popular school holiday destination for Geelong locals. Roller skating is a fun, social and physical activity that the family can do together all year-round. It’s also the perfect way to entertain kids during holidays or to celebrate a birthday as it provides non-stop entertainment for groups big and small. Regardless of your age, pulling on a pair of skates and rolling about is sure to bring a smile to your face. And those who have never skated before, including young kids, will be pleasantly surprised by how quick they will be gliding across the roller rink floor. Rollerway Newtown owner Raul Aparicio says although skating looks difficult, it is actually quite easy to learn. “The first 10 seconds on skates can be a bit awkward but within about 20 minutes most are moving around independently, and they’ve learnt a new skill,“ he said. Rollerway is a long-standing, iconic family business and specialises in activities that are incredibly good value for money. They are open daily over the holidays, including Good Friday and Easter Monday (Closed Easter Sunday) at 6-8 Lambert Avenue, Newtown. For more information, including opening hours, visit rollerway.com.au or call the enquiry line on 0411 335 544.